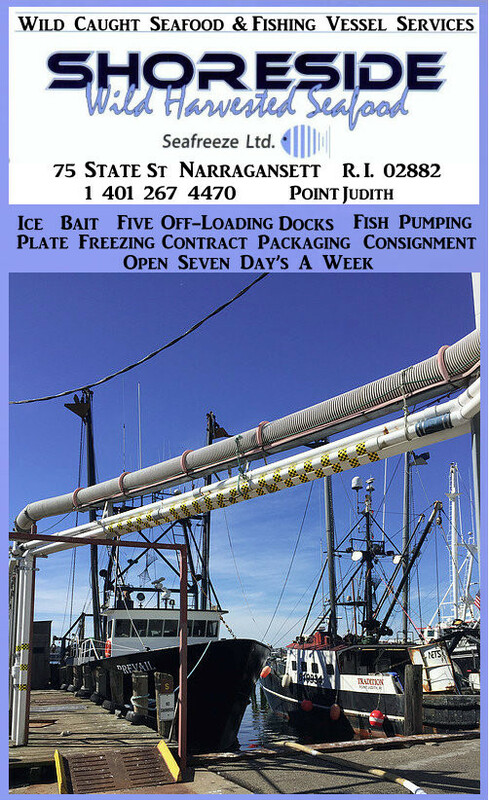 The status of groundfish stocks in New England is shrouded in considerable uncertainty. This uncertainty often raises the question as to whether stocks that are claimed to be overfished are actually overfished or vice versa. Uncertainty in this determination reflects in turn whether management regulations intended to correct these characterizations are effective. Furthermore, whether the declines in stock relate to fishing and are therefore reversible, or whether they owe to the environment and would not be responsive to changes in fishing intensity is not known. There is no doubt that a resolution of these uncertainties could yield benefits worth of the order of 100 million dollars. It is our view that this costly uncertainty owes to an insufficiency in basic data on the abundance of stock and their life history. It is our belief that, experimental, cooperative, adaptive fishing programs will materially contribute to the data and information pool thereby considerably reducing the uncertainties associated with current management advice. This assertion is supported by past work on scallops and more recent studies of the gbytf. For the gbytf stock, biomass estimates obtained through mathematical virtual population analysis amounted to only 800 MT. Yet direct estimates of abundance, actually counting fish, using area swept measurements yielded estimates that had a lower bound of 4000MT. In other words, the direct measurements provided estimates of that were at least five times greater than the mathematical estimates. Recognizing GBYTF as a opportunity for the Secretary of Commerce to demonstrate the usefulness of experimental fishing programs, and that 1) the yellowtail VPA assessment did not represent the dynamics of the stock, and 2) increased harvesting of the underfished gbytf could not only provide information, but income to an economically challenged industry, we proposed to the Secretary on January 13, an experimental fishery to achieve these goals. We received a reply to our January 13 letter on March 26 from Assistant Administrator Sobeck denying our request. We felt that additional information would have helped the Administrator. Our statement today is intended to provide additional information for Administrator Sobeck and directly request the council and NMFS work with us to help put finishing touches on the details of a proposed experimental fishery which would not only provide additional data on yellowtail but on other stocks as well. She further said that CSF concerns should be minimized because NMFS was working on a new alternative empirical approach to improve management advice. She said that the new empirical approach would, “… provide the best advice on stock abundance”. 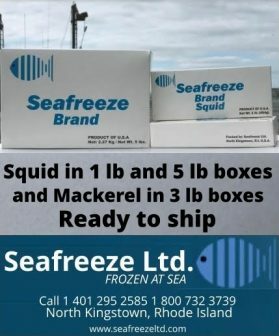 Regarding whether the experimental fishery “would operate outside established stock limits”, this past year the commercial fishery took very roughly 100MT less than its quota (actually the ACL was 549MT and the GBYTF catch was reported as 215MT for the groundfish fleet and 164MT for the scallop fleet). Put another way, a scenario that involved an additional 100MT would not overfish (i.e. not exceed the quota), provide more than adequate sampling, begin to provide enough data for EBM, provide a better understanding of the ocean environment vis a vis yellowtail and other species, and enable new and valuable insights to the management related fishing dynamics of the fleet. It is important to point out, as well, that such a scenario, where harvesting a magnitude of fish that is close to the quota, has an over-all benefit since the bycatch of GBYTF by the scallop fleet would be reduced substantially. Regarding whether the “vulnerable stock” would be “strained”, it is true that the abundance of the stock is less than it was in the 1960s and 1970s. However, it needs to be pointed out that it is an assumption that that the GBYTF would increase by a factor of more than 10(back to the 60s and 70s), if all fishing on GBYTF was stopped In fact, in its present setting, the GBYTF does not seem responsive to changes in fishing intensity. If we believed this assumption, we would expect that if we stopped fishing, all stocks would increase to their historical maximum abundance at the same time. This does not make sense. So it might not be that the GBYTF is “vulnerable” or “strained”. Maybe it is at a normal level of abundance given the current environment. Certainly the observed length-weight relationship for GBYTF did not decline from fishing, but it may have declined from a lack of food, for example, because the stock, even thought it was at a low level, was too abundant for its food resource. Regarding whether the new empirical approach provides the best advice on stock abundance is not yet clear. Of course we have not received the final strange estimator in the sense that most statistical estimators fall inside the range of the data points whereas rho falls outside the range of data points). Having set the stage with a reasonable approximation of the biomass, we next need to determine the reference points that tell us the proportion of the 4KMT that can be harvested. It is important to recognize that there is not one single “golden” reference point. There are whole families of reference points. Each family stems from a different branch of theory, strange estimator in the sense that most statistical estimators fall inside the range of the data points whereas rho falls outside the range of data points). It is important to recognize that there is not one single “golden” reference point. There are whole families of reference points. Each family stems from a different branch of theory, and for each branch of theory, reference points take on different magnitudes, even though they are based on identical data sets. For example reference points can be created from yield per recruit, Fx%, or production models. These will generally all give different results depending on choices made by analysts. So it is a matter of opinion as to whether the gbytf is overfished or how close the magnitude of the stock is to be overfished. Should the Council consider only one opinion on the reference point, or does it have several that it can consider. And what criterion should be used to select a particular reference point that shows whether or not the stock is overfished? And what choices are made of parameter values to be used in the determination of reference points? In particular, choices for M and Fx% reference points are critical. Increasing M will increase Fref. Decreasing x from say 40% to 35% will give a more favorable impression of the state of the stock. A new feature of the data presented in the empirical workshop is an acknowledgement that the value of M that has been used is set too low. The value of x that is used for gbytf is 40, but on the west coast it is 35. Does the council know the reason for this? The report from the workshop expresses considerable uncertainty regarding gbytf movement and distribution, natural mortality, productivity, catchability absolute biomass, etc. All of this concurs with our assertion made in our January 13 letter, that relatively little is known about the gbytf for management purposes and the reason that so little is known is that there is insufficient data and that the only way to obtain a critical mass of data is through intensive sampling that can only be implemented via a cooperative program with the fishing fleet. A key issue in establishing an experimental fishery is facilitating elimination of underfishing and harvesting a quantity of fish that is close to the quota. We expect that we will find a scenario similar to the current year. Fishermen do not want to go over the gbytf quota and be constrained from catching yellowtail and other stocks on Georges Bank. In other words possessing a high amount of gbytf quota is a ticket to other profitable catches on GB. 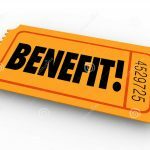 The ticket has high value when the quota is not used up and zero value when the quota is used up. A particular case in point is that gbytf bycatch is an important constraint on haddock landings. One could further envision on a longer-term basis, that as the quota is approached, fishermen refrain from catching yellowtail because they do not know the current catch level vis a vis the quota. Something like a mixed stock exception for gbytf is needed. 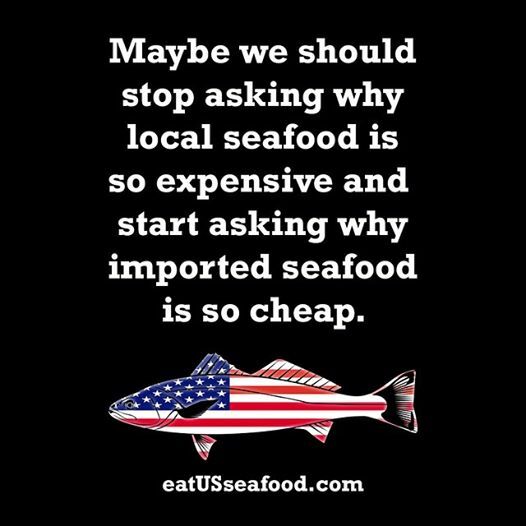 The fishery would be carefully monitored so that the quota is not exceeded. Considerable data would be obtained using swept area techniques for estimating gbytf data considering both biomass and rate of removal (i.e. 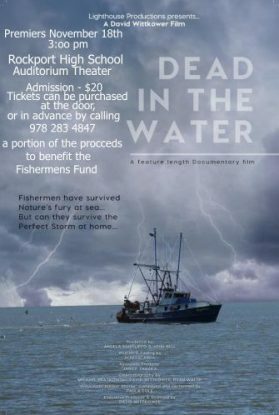 fishing mortality). In this cooperative program crew members would be assigned to record tow-by-tow catches providing invaluable information on multiple stock composition needed for ecosystem based management. Naturally budget issues arise. However in this case it is more important at the outset to discuss the desirability of the program rather than its budgetary feasibility. Discussions with industry lead us to believe at this point that they would work together with the program. Of particular interest is that the Secretary appears to have emergency authorities to implement such a program. We believe that these authorities are enhanced by the declaration that the fishery is a disaster. Upon declaring a fishery disaster, the Secretary has broad authority to alleviate the disaster by taking “any activity that the Secretary determines is appropriate to restore the fishery or prevent a similar failure in the future and to assist a fishing community affected by such fishery.” MSA § 312(a)(2). The MSA also authorizes the Secretary to “implement any information collection . 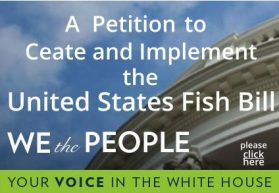 . . program” if “the Secretary determines that additional information is necessary for developing, implementing, or monitoring a fishery management plan.” MSA § 402(a)(2). One means to collect more information is through cooperative research and emergency regulations. “If the Secretary finds an emergency . . . exists . . ., he may promulgate emergency regulations . . . necessary to address the emergency.” MSA § 305(c)(1). Such emergency regulations “shall . . . remain in effect for not more than 180 days . . . and may be extended . . . for one additional period of 186 days.” MSA § 305(c)(3)(B). The Secretary is authorized to issue experimental fishery permits as part of its cooperative research program and in compliance with regulations promulgated with the Councils. MSA § 318(a),(d). 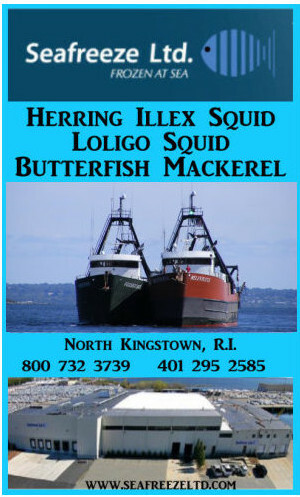 In New England, as you know, yellowtail stock assessments are highly disputed and ambiguous. Post stock assessment surveys completed by the New England Fisheries Science Center (“NEFSC”) and the University of Massachusetts, Dartmouth’s School of Marine and Science Technology (“SMAST”) have revealed that there is significantly greater biomass than the National Oceanic and Atmospheric Agency’s (“NOAA”) stock assessments. These surveys, completed subsequent to the issuance of the stock assessments, show that yellowtail is more abundant than indicated in NOAA’s assessments. 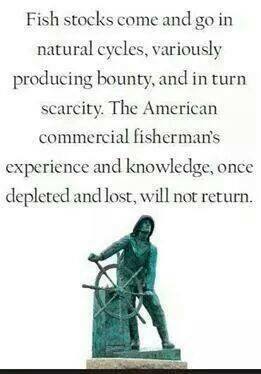 This means that the allocations to the fishing industry are too low. With the various disputes and conflicting data, good scientific practice and the management scheme dictates that further information collection and analysis on the groundfish stocks must completed. Further information collection is necessary to develop the allocation of yellowtail in both the groundfish and scallop fishery management plans, to ensure compliance with the MSA’s National Standards, and to alleviate an emergency situation that has the potential to result in a “similar failure in the future.” MSA § 312(a)(2). The Economic Disaster has now risen to a level of an “emergency situation” where “emergency regulations [are] necessary to address the emergency.” MSA § 305(c)(1). For both the groundfish and scallop fisheries current management strategies run the risk of causing two potentially irreversible consequences. 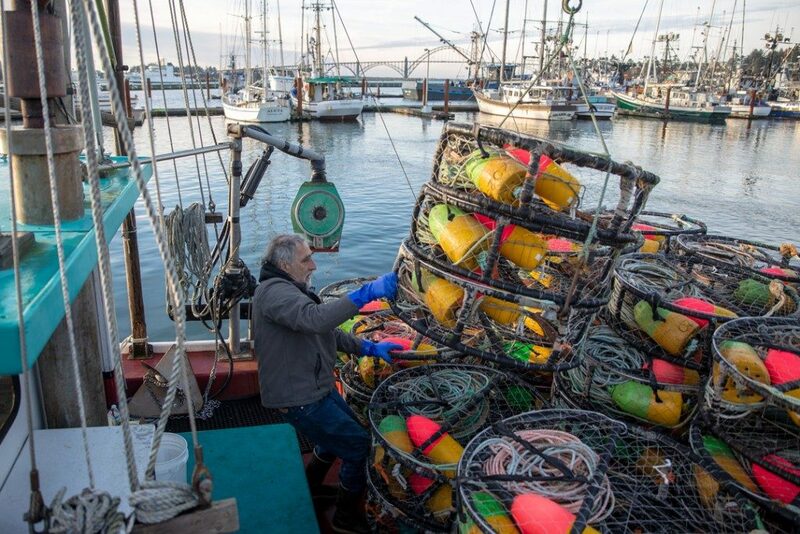 First, the groundfish fleet and industry will continue to diminish and disappear. And second, low allocations in the groundfish fishery lead to wasteful increases of yellowtail bycatch in the scallop fishery. Increasing bycatch is severely jeopardizing the future feasibility of the scallop industry’s ability to harvest scallops. The Center for Sustainable Fisheries proposes that an emergency regulation be promulgated to open an experimental fishery to collect information on yellowtail stocks as a cooperative research program. Under our proposal, a reasonable and larger percentage of yellowtail will be harvested by a limited number of boats. Experimental fishing permits (“EFP”) would be issued via the experimental permit application process laid out in 50 C.F.R. 600.745. 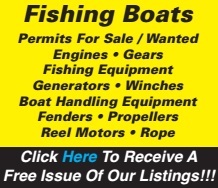 Boats holding an EFP would be allowed to fish in a normal manner under the higher allocation. 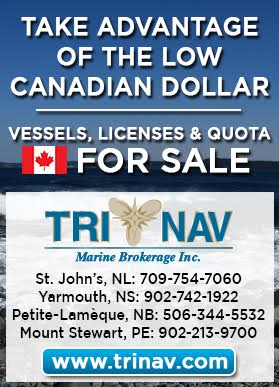 As a means to provide financial support for an ailing fleet, the catch would be allowed to be sold. Selected fishing vessel owners would agree to more intensified log book coverage and port sampling. 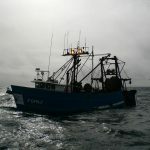 An experimental fishery will provide several advantages, including, but not limited to, providing additional data, providing financial support for an ailing groundfish fleet, ensuring National Standard 2’s “best scientific information available,” (MSA § 301(a)(2)), requirement is satisfied. Additionally, there is the potential that the additional data and assessments will lead to increased allocations for groundfish fishermen, reduce bycatch in the scallop fishery, and alleviate the Economic Disaster in the New England groundfish fishery. 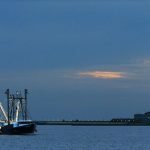 There is little risk with implementing the experimental fishery because the emergency regulation of an experimental fishery would be carefully monitored and remain in effect for merely 180 days. After the 180 days, based on the additional information collected, an improved analysis of yellowtail can be evaluated. The evaluation will determine whether allocations should remain at their current levels or be increased. CSF is hopeful that the council will find that the experimental fishery that we have proposed to be a useful framework for the council and NOAA to develop a new and innovative approach to fisheries management that combines actual fishing with data collection and management advice. 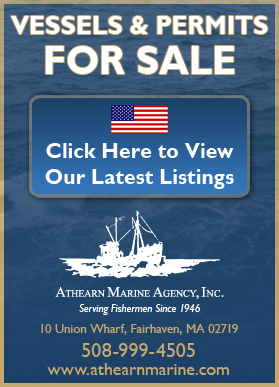 We are confidant that the technical expertise that exists in New England can flesh out this next step toward managing the ecosystem in which our multiples stock fishery resides. 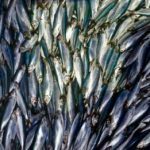 The Center for Sustainable Fisheries (“CSF”) has filed an Amicus Brief in support of the Commonwealth of Massachusetts and the State of New Hampshire in the case brought against the Secretary of Commerce, Secretary Penny Pritzker, and NOAA. CSF is a science based non-profit organization devoted to the conservation of out fisheries resources and the economic development of our fishing communities. CSF focuses on both regional and national scientific and legal issues that arise from the current fisheries management scheme. Several fishermen, ancillary business owners, fisheries scientists, attorneys, and economists are involved in the organization and are currently working to collaboratively develop solutions to fisheries management issues. 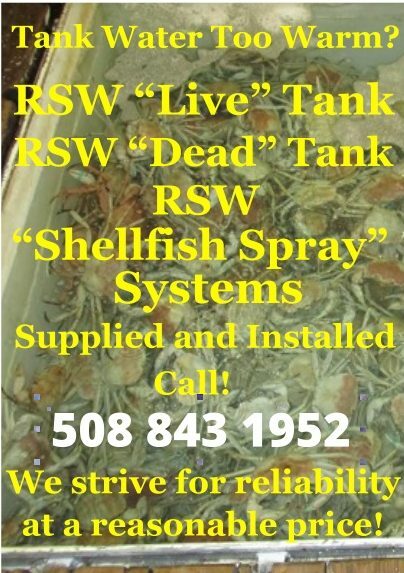 For further information, contact Kate Kramer at 508-992-1170; [email protected]centerforsustainablefisheries.org. 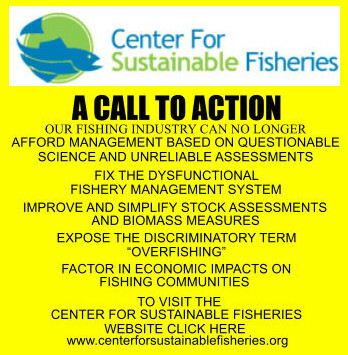 On behalf of the Center for Sustainable Fisheries (CSF), the National Fisherman, and the Gulf Seafood Institute (GSI) I would like to invite you to a public workshop on reauthorizing the Magnuson-Stevens Act (MSA). Please join us at the Embassy Suites, Baton Rouge (4914 Constitution Ave; Baton Rouge, LA 70808) at 5:30pm on Tuesday, April 8, 2014. Our workshop is scheduled just after the Gulf Fishery Management Council meeting on Tuesday to be convenient for those attending the council meeting. Driving directions and information on parking at the Embassy Suites are below. As you know, the MSA is up for reauthorization this year. Several months ago there was a general feeling that the existing law would be changed very little. This would constrain fisheries-management improvements that would arise from the new language. However things have changed. It appears that substantive changes are being contemplated by Congress. There are at least two documents that provide rewritten language and an analysis of the changes. On November 20, 2013, I gave a keynote speech at the Pacific Marine Expo providing CSF’s rewritten National Standards that provide a conceptual backbone for the MSA. On December 18, 2013, the House Committee on Insular Affairs issued a Discussion Draft that provided modified or new language for the MSA. On January 14, 2014 CSF issued an analysis of the Discussion Draft. The links to the papers cited above are below. Our rewrite of the National Standards changed the current National Standard 1 from focusing on primarily preventing overfishing and secondarily obtaining optimum yield to focusing on maximizing (multispecies) yield or an economic function of yield subject to constraints on fishing mortality as determined by the fisheries management council. 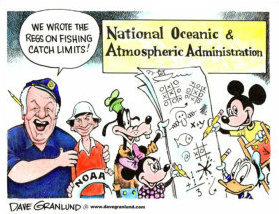 We see this change as strengthening the economic component of fisheries management, giving more flexibility to councils, and facilitating better “science.” At the same time our rewrite provides for institutional changes such as National Institutes for Fisheries Research and a National Fisheries Management Board that reports to Congress and provides checks and balances for the fisheries management process. for overfished stocks. Our analysis of the Discussion Draft points to these pluses along with others. At the same time we point to the need to replace the present National Standards with wording that facilitates scientific interpretation and achieves balance among biological while holding the other National Standards in abeyance. So there is a lot going on. What is going on is happening at various intensities around the Nation. Some believe that extensive change is necessary whereas others believe minor or no changes are necessary. 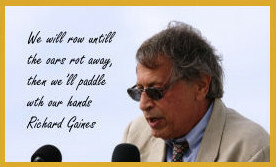 This means that whatever your position, whether you are for change or not for change, it is time to put your oar in the water. The MSA Reauthorization is too important to not become involved. This is why we think that you will share our view that it is important to convene a series of workshops around the country to discuss reauthorization and put various views on the table. At our workshop in Baton Rouge we plan on reviewing the documents cited above. 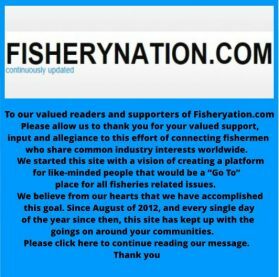 In addition to this review we plan on providing you with substantive information on the state of fisheries management and how this state of fisheries management tempers the direction of any rewrite. Most importantly we would like to use the workshop to hear from you regarding your views so that they can be used to guide our future activities. We also hope to hear from the Gulf elected officials or their staff regarding the progress and plans for the reauthorization. We look forward to seeing you at the workshop and discussing the MSA Reauthorization. FROM THE WEST: Follow I-10 east to exit #158 (College Drive) on the right. At the end of the offramp, follow the signs labeled ”Constitution Avenue”, which will direct you across College Drive without turning (Constitution Avenue is the I-10 service road). Continue on Constitution Avenue for 1/4 mile, hotel is on the right. FROM THE EAST: (I-12 West joins I-10 West in Baton Rouge): Follow I-10 West to exit #158 (College Drive) on the right. At the end of the offramp, turn left onto College Drive. Immediately past the I-10 overpass, turn left onto Constitution Avenue (Constitution Avenue is the service road to I-10). The hotel is 1/4 mile on the right. The Embassy Suites offers one parking option: self-parking. Self-parking is available for free.